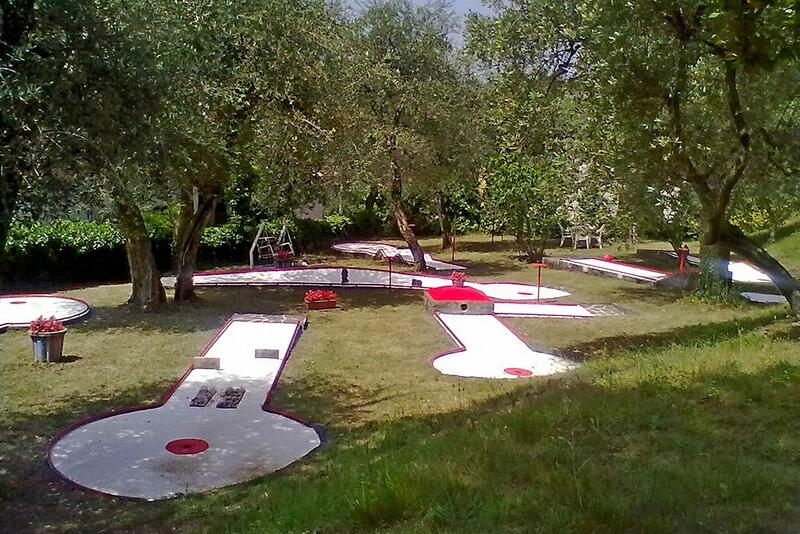 One of the surprises inside the Villa, is definitely the miniature golf course. Through these eight holes well designed, it will be a pleasure to invite your friends to a little challenge…and fun is guaranteed! Please contact the Staff, it will show you where take your clubs, balls, pen and paper to keep score and the game can begin! The first hole is definitely easier, but it gets harder soon. We suggest you to stay calm, otherwise it will be very hard to win. Finally, the rules are very simple: every player waits own turn at bat and must aim to put the ball in the hole in as few strokes as possible, but without throwing the ball in the grass otherwise be penalized. Looking for an apartment with pool on Lake Garda? Check out our apartments "Casa Orchidea" in Torri del Benaco.